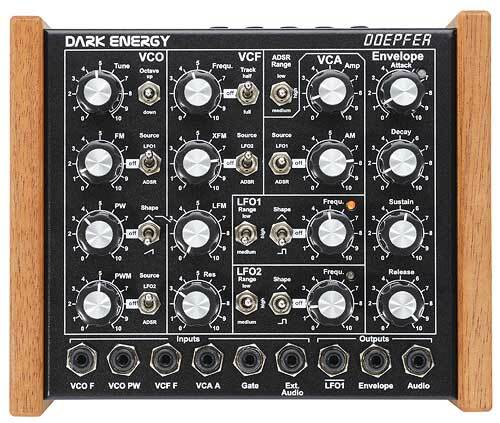 The Doepfer analog modular system is a complete modular system that is produced in Germany. Unlike the old modular beasts from Moog and Roland you can just pick up the phone and order a brand new. The concept of analog modular systems is the oldest one in synthesizer history and it is still around just because of that. Being able to totally customize your system means that it can grow with you. If you need and extra filter, just buy one and it will fit in. There are lots of modules to select from to make your custom system. I will make a review of separate modules in the end, but I will start of by writing about the system in general. The Doepfer A-100 is built in rackframes that fits into our standard 19" world. 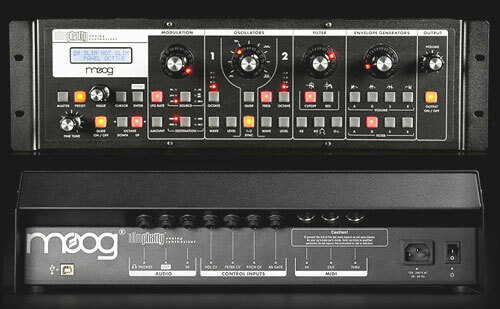 The separate modules that make up an A-100 system are fed power from a bridgesystem that lets you effortlessly plug in or extract connected modules with no tools at all. This bridge and the modules are mounted in cabinets made of polished aluminium. The cabinets comes in two sizes 3U or 6U in height and both 19" wide. The build quality of the system is very nice and the aluminium casing makes it light weight, but still sturdy. For the gigging road musicians Doepfer also supplies a gigbag case for the system. Since the A-100is a completely analog system using CV on minijack inputs for modulation and connection between modules it can be crosspatched with ofther analog systems such as the old Rolands and Moogs. You can also add modules to your system from AS Concussor and Intergrator since these fits into the doepfer mainframes. There is currently two basic systems that you can buy. The basic systems are slightly sheaper to buy that the prices for the individual parts would total. The first basic system is the big 6 unit high system. In this system you get 2 each of oscillators, ADSRs, envelopes and VCAs. But you also get some more esotheric modules such as Frequencq Divider, Waveform Processor and a multimode filter. 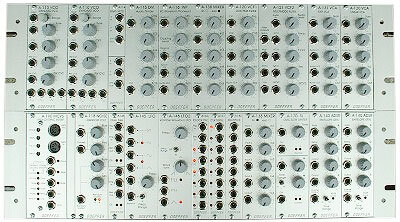 In the smaller basic system called the Mini system you only get one each except for VCO's where you get two. 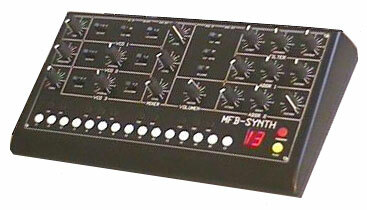 Both basic systems can be had in a version that includes a MIDI-CV converter module(in exchange for another module). There is currently about 60 modules in production and since I haven't tried them all so this review will only cover some, but some things can be said about them all. The knobs are made rubber that gives you a good grip and the turn slow which makes it easy to do accurate tweakings. In size the are about the same as on a Nordlead or Nova which to my taste is a bit too small. The modules are generally designed to be small, save space in the rack and make it possible to cram in more sonic power in your system. This does make it a bit messy when patching, but it looks nice and for most modules it is no problem at all. 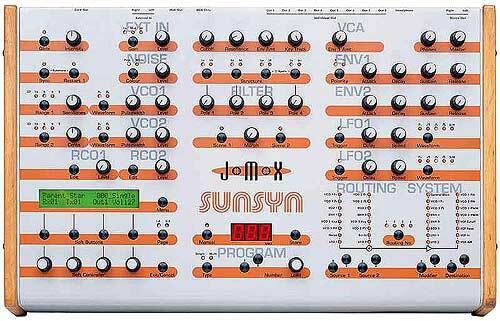 All modules features many knobs for control of the usual and also some unusual parameters. I will not describe all basic features such as volome knobs and the basic in and out, but rather concentrate of the feaures that distinugish the modules. The oscillators of the doepfer modular features sine, saw, square and triangle. The pulsewidth for the square can be controlled with a knob and continuosly from the CV input. The A110 has less perfect waveforms than the A111. Many say that the A110 sounds smoother and better, but I like the accuracy of the A111 which keeps its pitch perfect in 7 octaves. The A111 also features hard sync and linear FM. The frequency modulation adds a lot of possibilities for experimental sounds and effects. The A122 VCF is 24db lowpass using SEMs. Let us not delve too deep into the chip technology behind the front plate of this VCF and quote Doepfers description of it and call it "oberheim style". I think this is a great filter. 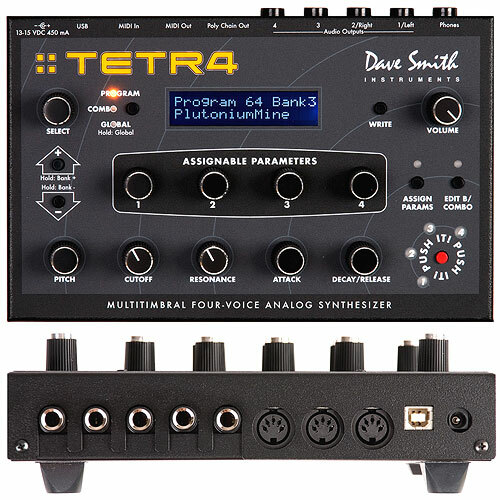 It features CV inputs for continuous control of both the frequency and resonance. The sound of the filter is smooth, but slightly thinner than a moog ladder style filter. The resonance goes far up in oscillation so in the top you get a sine wave. Not that useful at the extreme, but impressive. This is the most versatile lowpass filter I have tried since it can both do fat and smooth basses and squelchy screaming TB303 style sounds. The Noise generator of the A100 system is the module that made me buy a system from the start. This module has output for both a noise audio signal and a random volt that can be used to trigger other modules. The audio signal is made of red and blue noise and the levels can be controlled by two separate knobs. If you like you can use the audio signal as a continuos source to "sweep" your filter. With the right setting you get very cool bubbling sounds. Try this if you can. The A140 ADSR is a plain old envelope generator, but it is a great one. There is a switch on it that selects if it will handle short, medium or long envelope settings. At its fastest settings it can create so tight and snappy envelopes that they sounds as spikes and on the other extreme you get minute longs sweeps. The A141 is voltage controlled which means that you don't only get a knob for each parameter, but also a cv input jack. So if you ever wanted to make a bass cut sharper on some of your notes or sweep the sustain levels of your growling leadsound, this modules is a deadly tool for you. The downside of the A141 is that it doesn't feature the same awesome range of envleopes as the A140, but still the attack is faster than it is on most analog monosynts. A ring modulator is in theory just a multiplier of two audiosignals. You put in two signals of different shapes and get a new sound with the characteristics of both. This is a very simple and effective way of synthesis. In Doepfers case your get two ring modulators in one thin little module. Very handy.